Even before he assumes the presidency, the camp of presumptive President Rodrigo Duterte is already taking its first step in curbing crime, specifically the use of illegal drugs. According to a report from ABS-CBN News, the Philippine Drug Enforcement Agency (PDEA) in Region 6 said Duterte's camp has already requested a list of drug personalities in the area. PDEA Regional Director Paul Ledesma said a retired general of the Armed Forces of the Philippines (AFP), who could be part of Duterte's Cabinet, asked for the list. 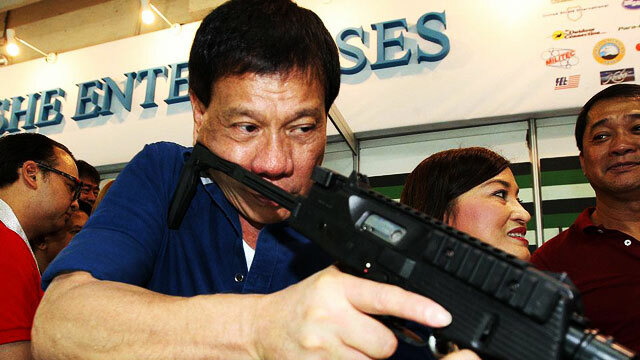 During campaign period, "The Punisher" has repeatedly vowed to end criminality within three to six months upon assuming the presidency. On Thursday, Duterte's spokesman, Atty. Salvador Panelo told GMA News they will first clear out the ranks of both the Armed Forces of the Philippines and the Philippine National Police (PNP) to ensure they could deliver this promise. PNP Chief Director General Ricardo Marquez, for his part, will turn over a courtesy resignation to Duterte to give the upcoming president a "free hand" in selecting the country's next top cop. Duterte is poised to become the country's 16th president after taking the May 9 polls by storm and getting a lead of over six million votes against his closest rival, administration bet Mar Roxas. Roxas, Sen. Grace Poe, and Vice President Jejomar Binay have all conceded to Duterte, which leaves Sen. Miriam Defensor-Santiago as the only presidential candidate who has yet to yield.